완양부원군이충원호성공신교서(李忠元 扈聖功臣敎書)는 선조 37년(1604) 10월에 이충원에게 상장과 훈장을 내린 교서이다. 명주에 두꺼운 선지를 포개 붙여 만든 것으로 가로 230cm, 세로 36cm의 두루마리이며, 앞뒤 공백인 부분까지의 길이는 총 298.3cm이다. 임진왜란 평정에 큰 공훈을 세운 사람들에게 내려진 훈호는 호성(扈聖) ·선무(宣武) 두 가지로 나누고 있는데, 임진왜란 당시 서울에서 의주까지 시종 왕을 호종한 사람을 호성공신으로, 왜병을 정벌한 장수들과 원병과 양곡 요청을 위해 명나라에 왕래한 사신을 선무공신으로 책봉하였다. 이충원의 공적 사례, 공신에 대한 포상과 특전, 공신의 명단, 사실증명 등을 차례로 적고 있는데, 이충원은 2등 12번째로 기록되어 있다. 이 교서는 이충원 개인의 전기적 자료로서 뿐만 아니라 임진왜란사 연구에도 중요한 자료이며, 조선 전기 4대 명필의 한사람인 한석봉의 글씨로 쓰여졌다는 점에서 예술적 가치 또한 높이 평가된다. 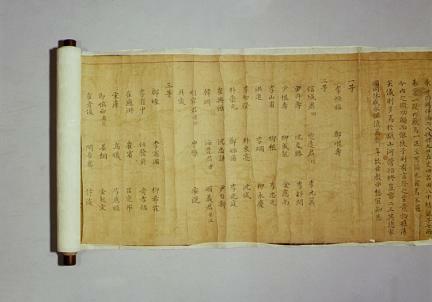 This royal certificate was issued to Yi Chung-won in 1604 (37th year of King Seonjo’s reign) in recognition of his meritorious achievements during the Japanese Invasion of 1592. 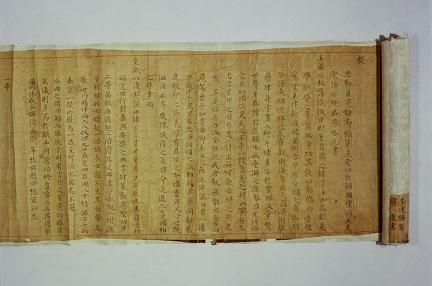 The certificate, written on thick paper, is pasted on a roll of silk measuring 230cm wide and 36cm long. The contents of this certificate include his notable achievements and remunerations and the names of other meritorious subjects. It carries significant meaning as Yi Chung-won’s personal record, providing valuable information about the Japanese Invasion in the late 16th century. 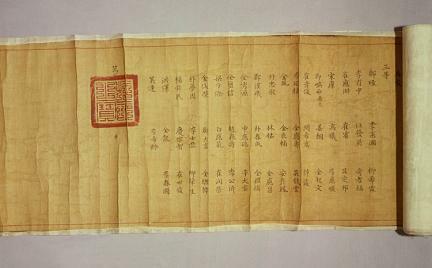 In addition, the artistic value of this certificate is highly regarded since it was written by Han Ho, one of the four best calligraphers of the early Joseon Period.